Our team is a dedicated group of reviewers who likes to try out all sorts of things, but our ultimate goal is to give you guys a peak at the things we do so you can plan your weekend, plan your trip, plan those days out! So today’s review is just that. 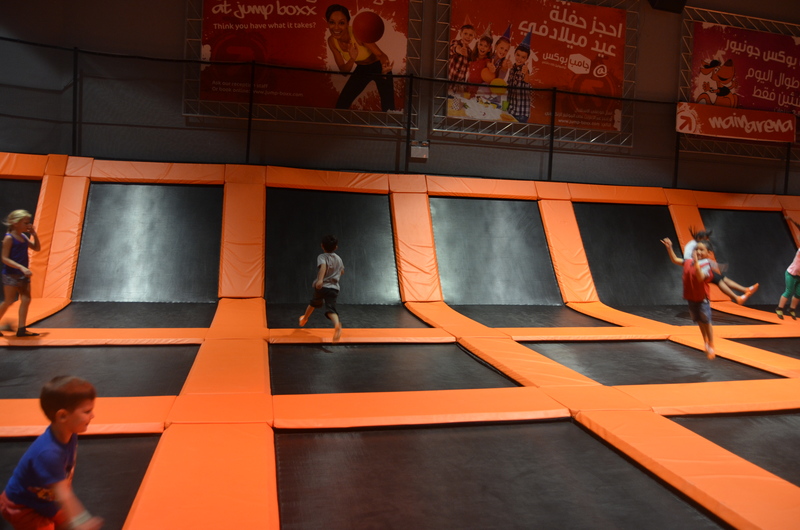 We sent our reviewers to Jump Boxx Dubai, Uptown Mirdiff. A leap of fun! 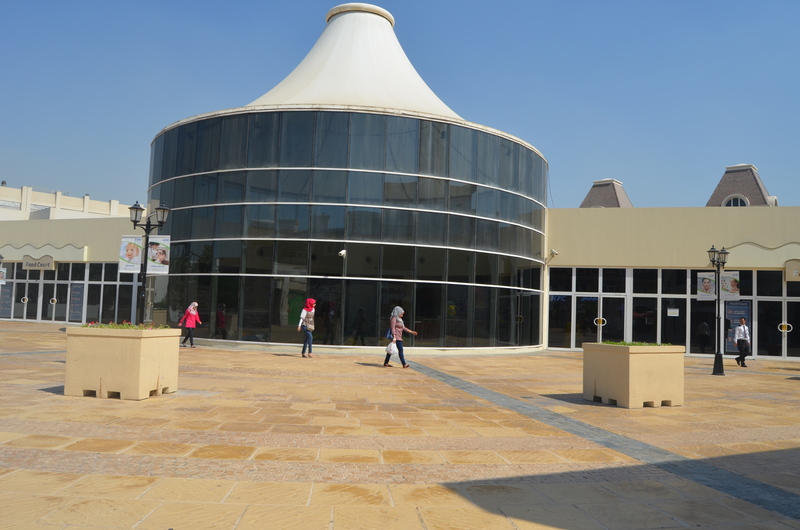 It is located in uptown Mirdiff, conveniently opposite the food court! 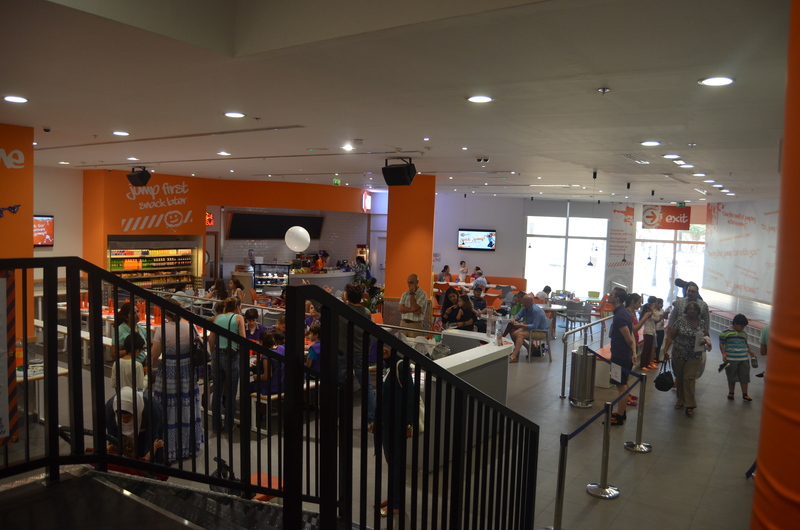 the location is great, easy to find and has shops all around! 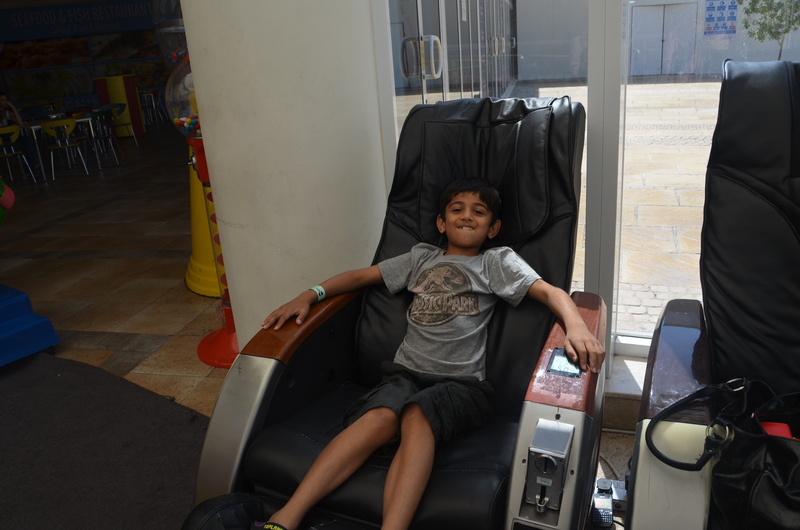 We found it with no difficulty and couldn’t wait to get in! 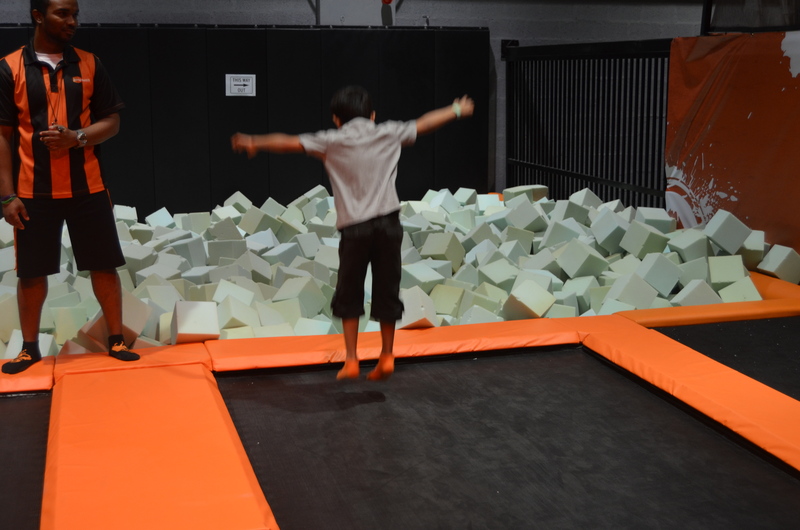 When you first enter jump box, the enthusiastic staff are very welcoming and happy! As it was our first time, we were led over to the Ipads on the side of the reception to register, which was a quick and easy process with guided steps. After this we went over to pay and collect our socks, there was no prior booking, we walked in and joined the 12Noon session! Firstly, we were shown a safety video beside the reception before we could go in, which we found very informative and quick, it wasn’t a 30 min long video that would bore us to death or a tacky phone recorded video, it was a professional, short and simple video that told us the do’s and don’ts and sent us off with a smile! Next, we walked into the canteen, lockers and seating area where we could pop our socks on and put our shoes in the handy storage area or get a locker for 1 Dhiram. There was a party set up on the left which was locked off, which means they catered parties too! After we had put our socks on and put our things away in a locker we headed off into the arena! 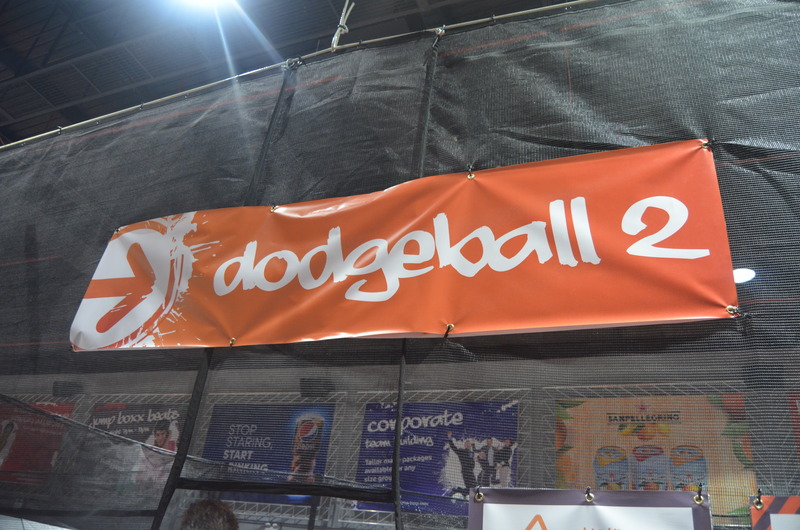 There was a section for under 4 year olds on he right and the main arena was for all ages above 4. 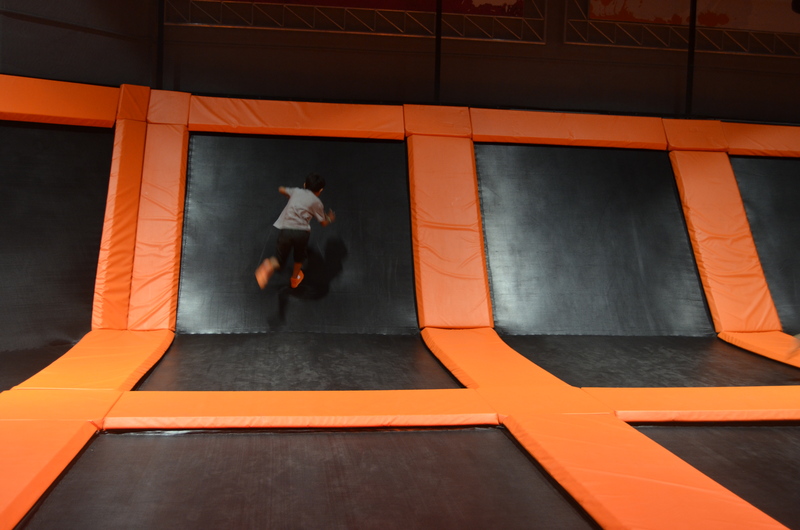 There were basket ball hoops, 2 dodge ball courts, a sponge ball pit to jump into and a free jump arena of trampolines. 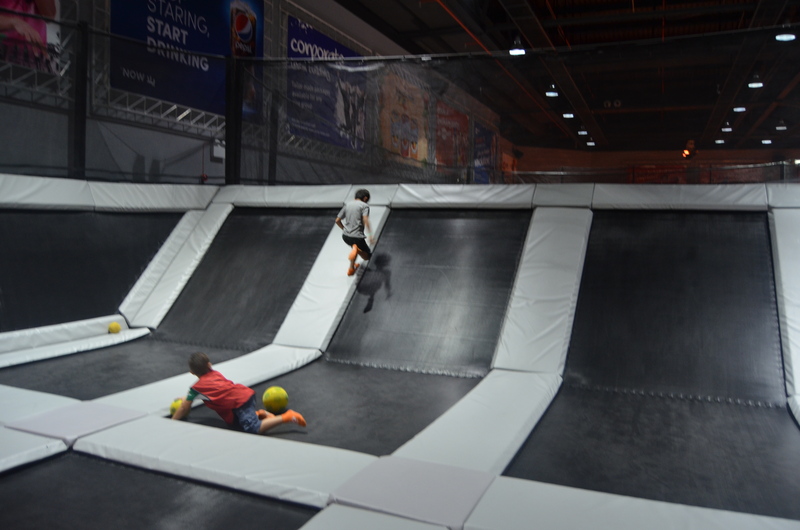 We loved the free arena area the best because we could practice flips and tricks, the referee was very strict on the rules of resting in the arena area and with two people bouncing on one trampoline, which made us feel safe! The orange jump color scheme was very attractive and stood out. Everybody around us seemed to be having fun! 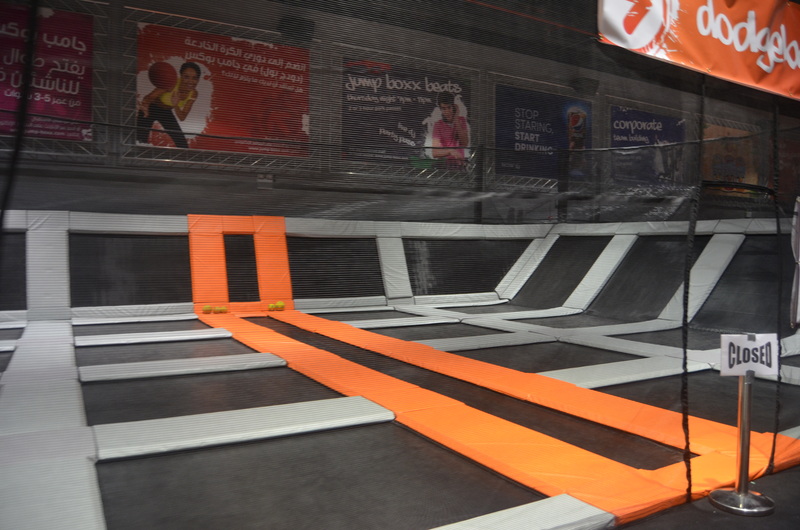 So do you fancy having a jump at jump boxx? The website link and pictures of the venue are below!